This week, I’m delving into the realm of YA fiction. I read two novels belonging to the genera this week: I Am the Messenger by Markus Zusak (an old favorite) and Saint Anything by Sarah Dessen. I considered highlighting the Zusak novel, but decided against it ’cause the review would be nothing but me raving about how much I love it. Instead, I chose to discuss the newest Dessen book. Summary: Peyton, Sydney’s charismatic older brother, has always been the star of the family, receiving the lion’s share of their parents’ attention and—lately—concern. When Peyton’s increasingly reckless behavior culminates in an accident, a drunk driving conviction, and a jail sentence, Sydney is cast adrift, searching for her place in the family and the world. When everyone else is so worried about Peyton, is she the only one concerned about the victim of the accident? Enter the Chathams, a warm, chaotic family who run a pizza parlor, play bluegrass on weekends, and pitch in to care for their mother, who has multiple sclerosis. Here Sydney experiences unquestioning acceptance. And here she meets Mac, gentle, watchful, and protective, who makes Sydney feel seen, really seen, for the first time. Dessen’s novels are engaging, fun, and they go fast. Although it’s nearly 500 pages, Saint Anything took only two days to plow through. It’s the kind of book you curl up with in bed at night and end up staying up FAR too late with. You know, the “Just one more chapter…” game. My main issue with these books is that, although they’re enjoyable, they’re highly formulaic. Her heroines are all the same– pretty high school/pre-college age girls trying to find themselves amid tumultuous family situations. Along the way, they discover a new group of friends that accept her for who she is and show her how to enjoy/approach life in a new way. Along the way, she finds love with a special, unique, insightful boy who does not see her in the way the world wants her to be, but as she really is. This is freeing… but brief. At some point, things go wrong, the relationship goes rocky, family troubles explode, and the heroine is left in a mess. By the end of the novel, though, she is able to piece things back together, learns something new about herself, her family begins to heal, and she steps into the future with her boyfriend. There. I just summed up every single Sarah Dessen novel. Now you don’t have to read any! I’m kidding. If you like reasonably well-written stories about self-discovery and summer romances, you’ll enjoy almost all these books. I did enjoy Saint Anything… but it followed too close to the formula and, frankly, wasn’t a stand-out. Sydney was a mildly boring, but relatable heroine. Her friends were quirky and fun, but felt like shadow copies of more interesting incarnations of the same characters in previous novels. The love interest, Mac, was likable, but a bit bland. I strongly disliked her parents–they were over-protective, judgmental, and terrible judges of character. There was a review of Goodreads that claims the most this novel did was make them want to eat pizza… and I must say, I wholeheartedly agree. While reading the book, I enjoyed it, but don’t think I’ll be giving it a second visit. You will like this book if you enjoy: reasonably well-written YA novels, quick reads, stories of self-discovery, family relationships, and cute summer romances. My suggestion: Skip this book. It’s nothing special. If you want to read Dessen, go for one of her books written in the 2002-2009 range. Her earlier novels fall flat and her more recent ones are too formulaic. See you next week for more book talk! When I’m not running around doing campus ministry or diagramming sentences for Grammar & Language or working the circulation desk at the library, you can usually find me with a book. (Actually, now that I think about it, I have a book in all three of those situations… but I digress). I’m taking less credits than usual this semester, which means I have slightly more free time. So, in true English major fashion, I’ve been filling my time with books! This is Elizabeth Gaskell’s first novel, a widely acclaimed work based on the actual murder, in 1831, of a progressive mill owner. It follows Mary Barton, daughter of a man implicated in the murder, through her adolescence, when she suffers the advances of the mill owner, and later through love and marriage. Set in Manchester, between 1837-42, it paints a powerful and moving picture of working-class life in Victorian England. The perks of being in a Victorian literature class is that I’m assigned books I’d read for fun. I just finished Mary Barton this afternoon (a week earlier than the syllabus called for) and loved it! Gaskell vividly describes life for the lower classes of Manchester, makes a complicated argument for the solution of class disatisfaction. About halfway through the novel, Gaskell changes pace and I found myself unable to put the book down, wanting to know what happens to all the characters. I found the end a bit unsatisfying, but am willing to forgive Gaskell for that. I downloaded the first book for cheap on my Kindle for reading material at the gym and then proceeded to read the entire series in a week. The trilogy definitely has weaknesses–it feels like a cheap knock-off of The Hunger Games, characters are pretty two-dimensional, and it’s not that well written. Despite these things, though, I adored the trilogy. It’s like The Hunger Games meets reality t.v. meets fairy tales. They’re not perfect, but make for excellent brain candy. And, oh my goodness, the covers are SO PRETTY. 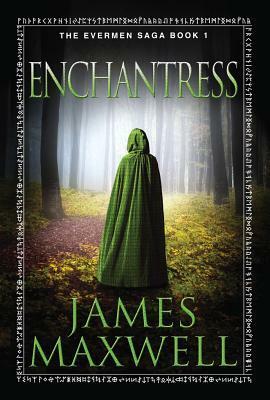 From the day Ella witnesses an enchanter using his talents to save Miro from drowning, she knows what she wants to be. But the elite Academy of Enchanters expects tuition fees and knowledge. Determined, Ella sells flowers and studies every book she can. Meanwhile, Miro dreams of becoming one of the world’s finest swordsmen, wielding his nation’s powerful enchanted weapons in defense of his homeland. I haven’t finished this one yet. It’s my current gym salve. (By that, I mean it takes my mind off the pain of the gym and gives me something to do.) Book one of a trilogy, the only reason I happened upon this one was because it was a featured daily deal on the Kindle store. It’s not particularly well written, not very original, and the characters feel really flat. But Maxwell creates a very compelling world that I want to know more about. I’ve avoided reading Goodreads comments on this one, not wanting to spoil my enjoyment. Because, so far, it’s definitely been an enjoyable read! This was my brain candy this past weekend. I downloaded a copy on my Kindle from the local library. 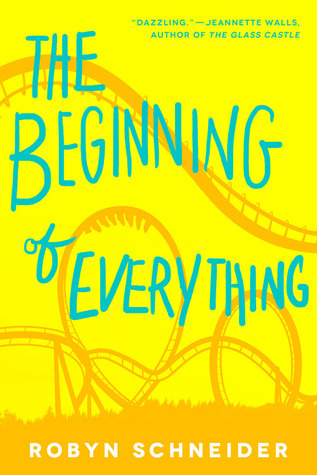 Again, it’s your typical coming-of-age YA novel, but enjoyable. Schneider’s writing reminds me of John Green and Rainbow Rowell. It was a fast, fun read. Have you read any good books lately? What were they? Do you have any recommendations?